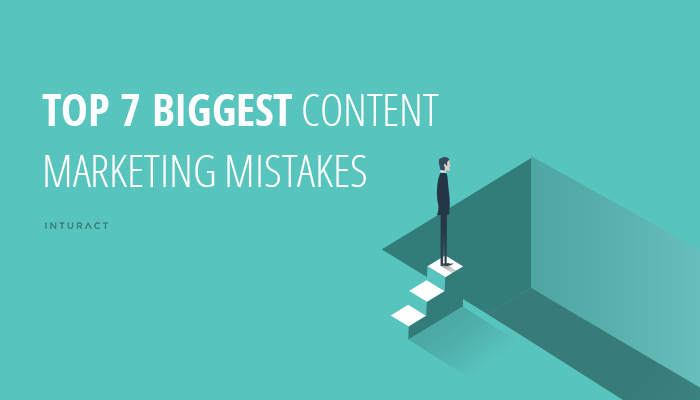 Anyone can string together a few words and call it “content.” Particularly if you outsource your content marketing strategy, you might be tempted to hire the fastest, cheapest writer you can find. As with everything else in life, you get what you pay for. Don't insult your customers' intelligence with cheap, poorly written content. The purpose of content marketing is to provide your readers with something they can actually enjoy. Cheap content isn't it. Likewise, you need to ensure that you provide a steady stream of content. A single viral article is useless if you don't leverage that visibility into a wider readership. And the only way to do that is to keep the content coming. Don't forget to market your content on social media for the greatest visibility and user engagement. Social media also offers honest critiques and a no-holds-barred chance to see how users react to the content you offer them. Don't miss out on that valuable opportunity by being afraid of negative feedback! Businesses engaged in content marketing are often tempted to write sales pitches for their products. That's the equivalent of providing readers with nothing but commercials. And just as television viewers fast-forward through commercials (or walk away), so too do content readers ignore marketing-heavy content. Instead of trying to sell something, focus on offering your readers value. The sales pitch is contained in the quality of your content, since readers impressed by your offerings will keep coming back. This provides you with a ready audience of engaged -- not annoyed -- readers who grow to trust your brand's voice. Don't write about things you don't know about, and if you must publish content on an unfamiliar topic, hire someone who is knowledgeable. If you're catering to working moms and have no experience as a parent and no familiarity with the issues working moms face, you need to hire an expert, rather than presume to know what your readers are struggling with. In a world of endless content, readers quickly navigate away from pieces that don't seem credible, that don't speak to their needs, and that don't offer instantaneous value. Worse still, if you're not credible, you may actively alienate or even offend your audience. The era of one-size-fits-all articles is a thing of the past. You can't please every reader, and you shouldn't try to. Instead, identify a few target markets, and then create content verticals that appeal to those demographics. A user who knows he or she can count on a few useful and relevant articles with each visit will be much more loyal than someone who arrives at your website to find a poorly differentiated hodgepodge of general-purpose content. To get the most out of content customization, learn as much as you can about your audience by soliciting feedback, gathering user data, and continually optimizing your content streams based on the information you receive. Don't tackle it all yourself. Let your users do some of the work of marketing and even creating content. Try soliciting stories from users, or offering a platform where users can publish their own work, if your brand's image is amenable to such a concept. If not, encourage users not only to comment on your content, but to provide feedback via icons akin to Facebook's “like” function. Not only does this keep readers engaged by providing ongoing discussion; it also provides you with a useful stream of feedback about what works and what doesn't. Web browsers are increasingly savvy. They give out spam email address to avoid getting spammed, and they divert unwanted content to trash folders. Even when they don't, they're quick to tune out content that's useless. And if you annoy them, you may make an enemy instead of a customer. Don't harass your customers with endless emails. When you do send out electronic communications, ensure they are custom-tailored to each user's content preferences, rather than a mass attempt to get attention. Social media provides you with ample opportunities to reach customers without spamming them, since sites such as Facebook automatically serve users with content they've previously enjoyed. Continually engage with customers on social media, and consider spending your time using social media ads rather than drafting emails customers might never read. SEO is such a cornerstone of content marketing that it's almost become a cliché. Stuffing your content with keywords is a transparent and desperate attempt to get customer attention. It may also harm your search rankings, since search engines such as Google are increasingly punishing sites that stuff poor quality content with endless keywords. Do you need to use SEO? Yes, absolutely. But contemporary SEO is more about drafting content on topics that interest readers, ensuring it has a moderate keyword density, and steadily climbing upward toward greater and greater content. Sure, you might be able to get a user to click on a keyword-stuffed SEO piece, but that same reader might not be back if they feel that their intelligence has been insulted or their time has been wasted.